The death of children is always harder to bear than those of older adults, because you feel that they’re having so much more stolen from them; so many potential experiences that will never now occur. The younger the child, the more acute that is. And that makes the waves of fake news circulating around those vent even more distressing — and enraging — than normal. 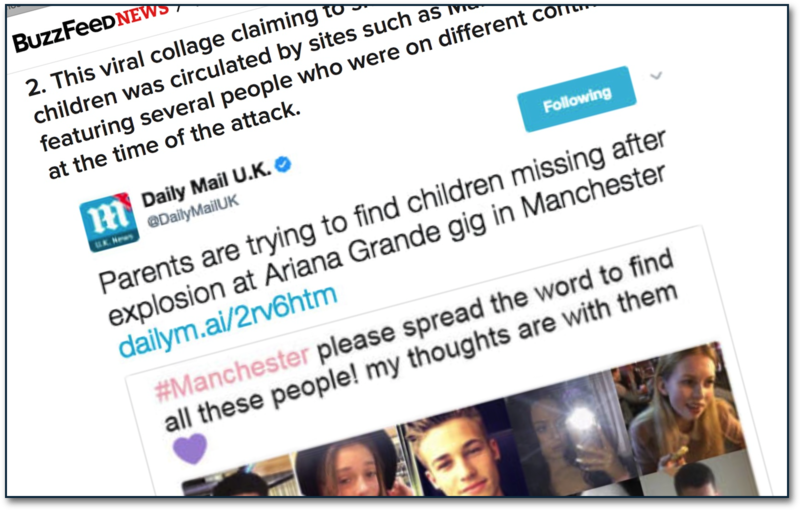 Buzzfeed’s Jim Waterson and team are doing a sterling job of tracking the fake news about the Manchester bombing.